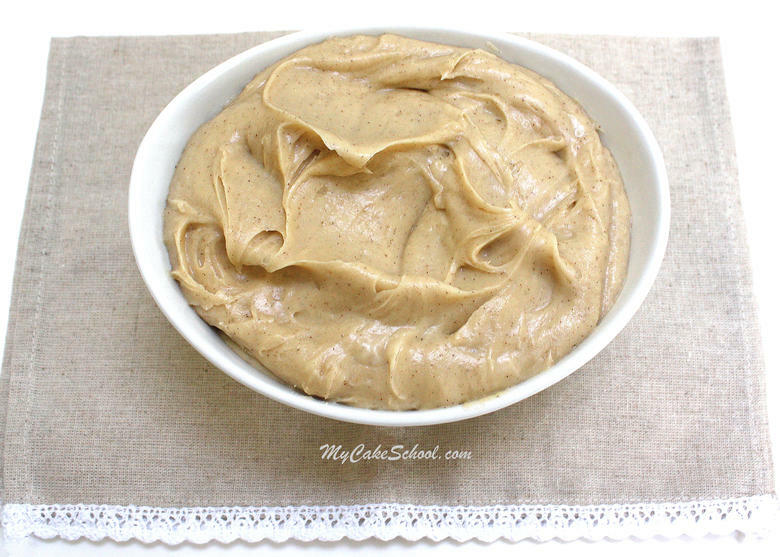 This Cinnamon Espresso Cream Cheese Frosting Recipe is creamy, pipeable, and tastes every bit as amazing as it sounds! We love this recipe with our Pumpkin Spice Latte Cake but it would taste fabulous with chocolate, white, and yellow cakes as well (just to name a few)! 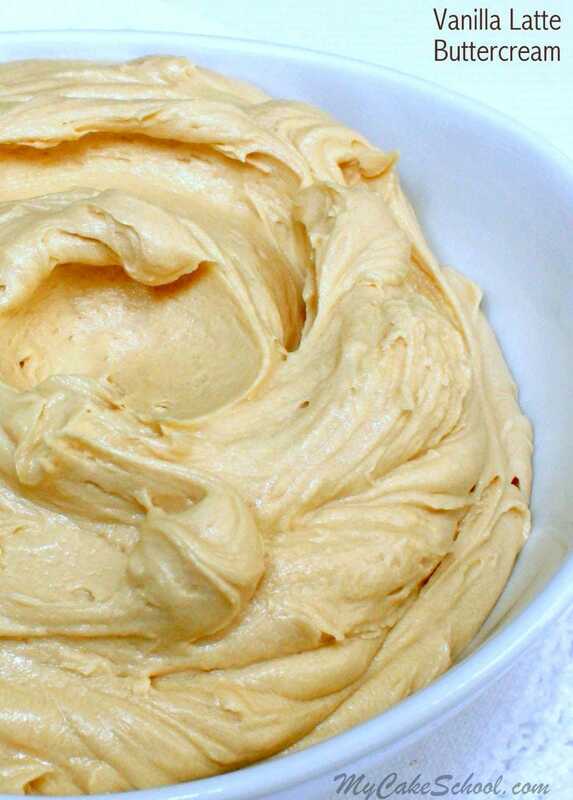 As someone who loves both coffee and cream cheese, I just cannot get enough of this frosting! It is so easy to make, and the flavor is heavenly! The espresso is the perfect complement to the cream cheese flavor, and I love the hint of cinnamon. You may just want to dive right into the bowl and forget the cake altogether. Enjoy! 2 (8oz) (226g) packages cream cheese (full fat), soften only slightly - Do not use reduced fat or the spreadable cream cheese. It will be too soft. Cut the butter into slices and add to the bowl of your mixer. Beat on low to medium speed until the butter is softened. Cut the cream cheese into pieces and add to the butter, beating at low to medium speed until blended. If using a hand mixer, you may need to soften the cream cheese a bit more. Gradually add the powdered sugar beating on low to medium speed until blended. Do not over mix or it will become too soft. If it does become too soft, just refrigerate for a few minutes, then continue. This frosting will pipe best if used while somewhat chilled. You can make this in advance, refrigerate and when ready to use, let soften to spreading consistency (do not microwave) and stir or remix with mixer. If you love Cream Cheese Frosting recipes, you may also like to check out our Pipeable Cream Cheese Frosting Recipe as well as our Classic Cream Cheese Frosting. These are both divine, although the “pipeable” version has a bit of a thicker consistency due to a higher proportion of cream cheese. 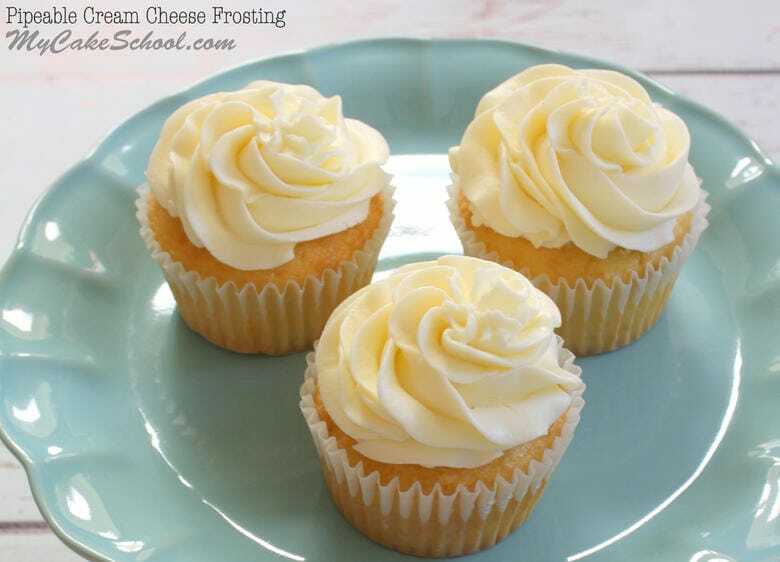 We have several more flavored cream cheese frosting recipes in our Recipes section. Make sure to check out these as well as our full collection of tried and true cake recipes! You cannot go wrong with any of these cake and frosting recipes! For more espresso frosting deliciousness, we also have a buttercream option to share! We used this Vanilla Latte Buttercream with our Caramel Vanilla Latte Cake. Don’t miss it! 2 (8oz) (226g) packages cream cheese (full fat), soften only slightly – Do not use reduced fat or the spreadable cream cheese. It will be too soft. I always try frosting with egg white, butter and sugar. Never tried with cinnamon but I like it’s flavor very much. I will try this frosting and tell my response soon.